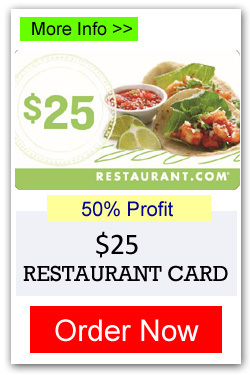 The Restaurant Gift Card has been a popular discount card fundraiser for many years. Especially now that internet access is so easy. Each supporter that purchases one of these cards will receive a code to redeem online and receive rebates at popular restaurants nationwide. These will be a hot seller for your group. Cards are available in 3 denominations: $100, $50, and $25. There is a minimum order of 10 cards (per denomination). Shipping is free and you’ll receive your order in about 10 days. 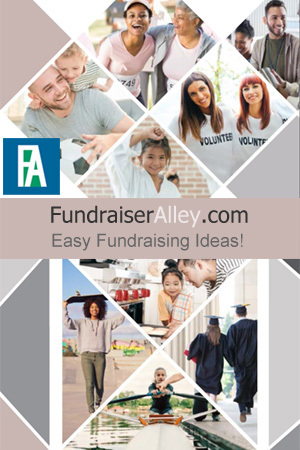 Shopping for fundraising products has been made easier than ever, with the option to order online. Also available as an Order-Taker Fundraiser! We recommend ordering one Restaurant Gift Card per fundraising participant. Order online or phone 1-866-826-0944 to place your order. What is a Restaurant Card? When a supporter purchases a Restaurant Gift Card, they will receive a code to then redeem online and get rebates from participating restaurants nationwide. There are thousands of choices. They will get much more in rebates than they paid for the card, and your group will earn the funds they need. It works out good for both. Order Restaurant Cards for each participant. Participant sells cards to friends and family. Your group earns a 50% profit. Supporter redeems online to receive rebates in restaurants. 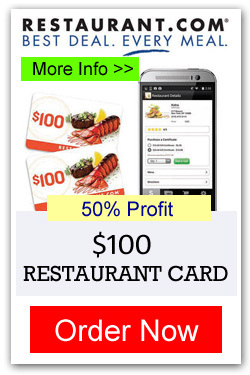 The $100 Restaurant Card cost you $15.00 and you sell for $30.00. Customer receives $25.00 in discounts. 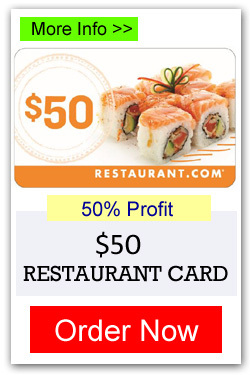 The $50 Restaurant Card cost you $10.00 and you sell for $20.00. Customer receives $50.00 in discounts. The $25 Restaurant Card cost you $7.50 and you sell for $15.00. Customer receives $25.00 in discounts. You will receive free shipping with a minimum order of 10 cards. You will receive cards in about 10 business days. 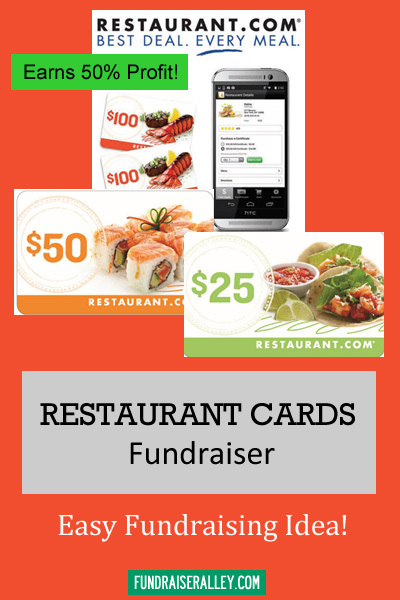 Everyone is looking to save money and everyone eats out, so these Restaurant Cards will be a great fundraising choice for your school, church, or group. An especially good idea for churches, because many people eat out in a restaurant after church.